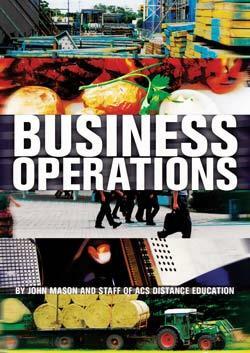 The Business Operations ebook is a must read for anyone who wants to start a small business or anyone who manages a small business. This ebook goes through all of the essential considerations that a business owner/ manager need to consider to ensure a smooth, efficient and successful business. In the daily operation of a business, some days will challenge you and some will inspire you. Most of them however will be just part of the daily routine of normal business operations. Unfortunately your business will not run itself - goals need to be set and decisions need to be made in order to achieve these goals. This book talks you through all of the different aspects involved in running a business from finance and forecasting to staffing changes and legal issues.